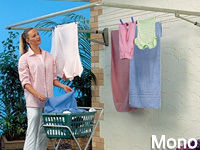 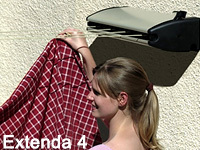 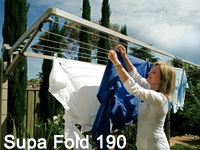 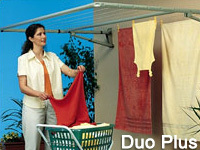 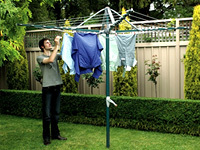 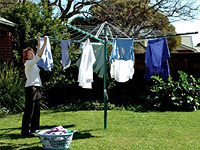 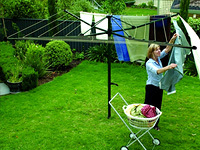 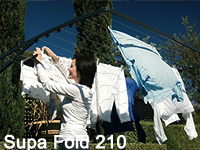 Hills Folding Head Clotheslines are a wonderful way to save power and keep your clothing fresher and cleaner than with mechanical washers and dryers. 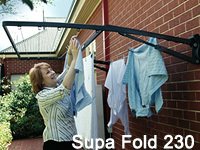 Great for a medium-sized family. 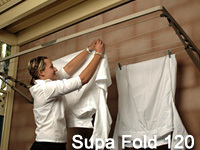 Folding Frames extend out easily and fold down out of site when not in use. 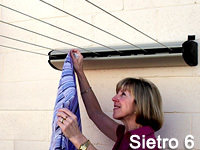 Each line is on a separate spool so no tangling will occur.